Yesterday, we told you about a handy tip to make searching for a Gmail account email easier on Windows Phone. Today, you get a few more reasons to make the switch over to the new Outlook. First, some impressive stats about the service. Microsoft is touting numerous accodades and awards for it's email service, like making Time Magazine's "50 Best Websites for 2012" list and others. What's even more impressive for you skeptics out there are the number of users it's managed to gain in nearly four months of service, over 25 million active users. One-click Archive: from the inbox, select messages and click the Archive button to move the selected messages to the Archive folder (or any other folder of your choice). It's a fast and simple way to move messages out of your inbox to find later. 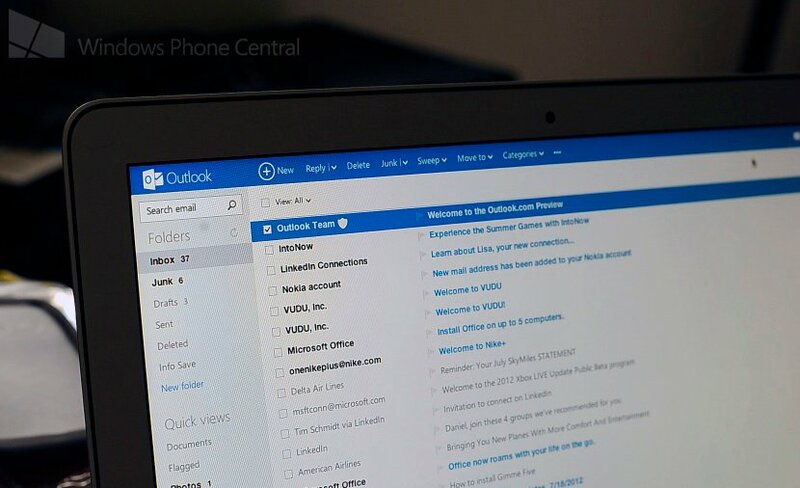 More and more keyboard shortcuts: Outlook.com has dozens of keyboard shortcuts and we're adding even more. And better yet, we don't need to list them all in this post because you can now find all available keyboard shortcuts by simply typing a question mark when you're in your inbox. More customization of your inbox: we added several new ways to make your inbox look and work the way you want. More color themes. The ability to toggle "reply" and "reply all" as the default option. The ability to toggle between jumping to the inbox or next message after deleting an email. Outlook app for Android: If you have a Windows Phone or iPhone, you won't need a dedicated app since Exchange ActiveSync is supported. Android is a different beast, and the solution was a dedicated app. You can get that here. All said and done, those are some great features to an otherwsie already great email client. 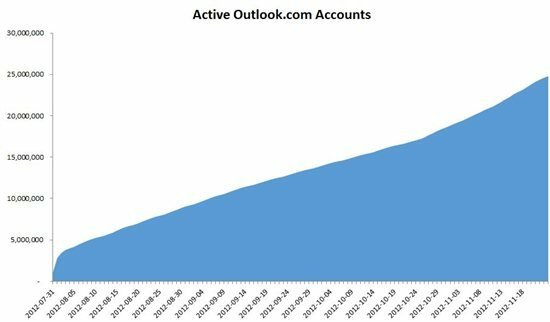 Do any of you guys use Outlook.com or are you thinking of making the switch? Let us know below.